Get your beads ready! Learn about the biggest Mardi Gras party in town and how it supports our community’s most vulnerable children! Mardi Gras for Homeless Children benefits multiple resources in the Greater Cincinnati region who help children who are or at-risk of being homeless. It’s been 28 years since four homeless children perished in a garage fire. Although the years have passed, the memory of it hasn’t. To help the memory of those lost live on, the Northern Kentucky Restaurant Association (NKRA), led by Chairman Gordy Snyder, launched Mardi Gras for Homeless Children to help fight against homelessness in the Cincinnati/Northern Kentucky region. “The NKRA member restaurants and businesses donate their food and time to raise much needed funds to support the food budgets for Bethany House Services, Brighton Center, and Welcome House,” explains Barbara Gurren, Vice President of Sales & Marketing at the Commonwealth Hotel Collection. 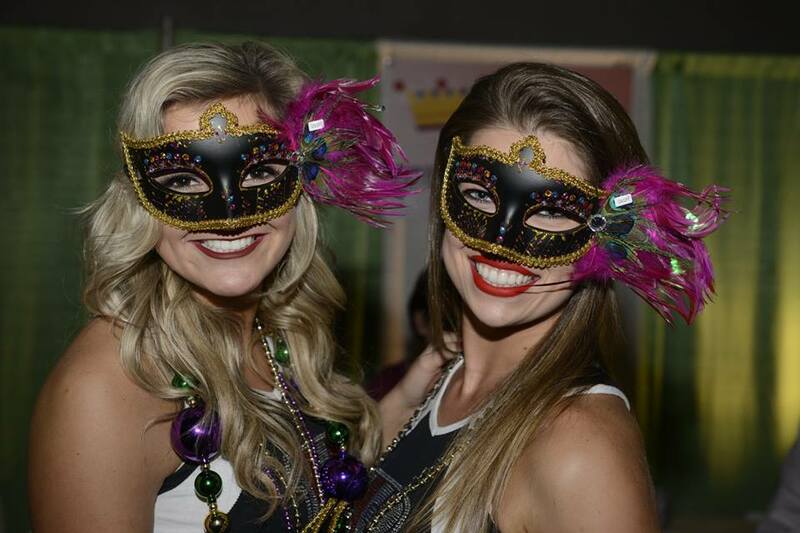 Mardi Gras for Homeless Children offers guests a culinary experience that benefits Bethany House Services, Brighton Center, and Welcome House, all local agencies that help feed the region’s homeless children. This year’s event is on March 5, Fat Tuesday, at the Northern Kentucky Convention Center from 6:30 pm to 10:00 pm. To date, more than $1 million has been raised with the event for the region’s homeless children through organizations that service more than 40,000 needy individuals in the community each year. Mardi Gras for Homeless Children features more than 50 booths of food and beverages furnished by members of the NKRA. Beechwood High School’s marching band will be performing in front of the traditional Mardi Gras float with live music by Robin Lacy and DeZydeco. Additionally, there will be live and silent auctions, with both auctions available on a digital platform. To purchase tickets for Mardi Gras for Homeless Children, visit www.mardigras2019.org, or stop by Mercedes Benz of Ft. Mitchell, Bethany House Services, Brighton Center’s Homeward Bound, Welcome House of Northern Kentucky and the 50 participating restaurants. To learn more about the event or the organization, click here or call 859-291-NKRA. A Cincinnati native is on a mission to help build online presence for businesses of all sizes. Keep reading to learn more. Scott Keever SEO helps to build the online presence of businesses. Scott Keever is on a mission to help make businesses of all sizes become more visible online. Because it can often be difficult to navigate the world of digital marketing – Search Engine Optimization (SEO) to be more specific – he launched Scott Keever SEO. Scott Keever SEO is a full service digital marketing agency that uses SEO to help boost the online presence of businesses. Scott Keever SEO dates back to 2015, when Keever, a Cincinnati native, launched the business to help further the strong ties he already has within the community. Since its launch, Scott Keever SEO continues to provide SEO, Reputation Management, Social Media Marketing, and Web Design. With the services offered, Keever says that the business is passionate about both what they do and the success of its clients. Scott Keever SEO, thanks to its Page 1 rankings in cities all over the country, has been able to partner with one of the biggest online marketing communities in the country. “We are working on a special project to help other marketing agencies streamline their SEO and link-building process to help maximize their efforts and achieve the kind of results we see at our agency,” he adds. To learn more about Scott Keever SEO, visit scottkeeverseo.com. You can also check out the blog to find guides on marketing for the different industries the company works with. “A lot of good information for business owners to help better their online presence,” he adds. Learn about this family owned, father-daughter dentistry practice that just earned world-wide recognition and another reason to smile. Dr. Tara Hardin of Hardin Advanced Dentistry and recent recipient of the Fellowship Accreditation from the American Academy of Cosmetic Dentistry. Dr. Tara Hardin is a cosmetic and general dentist that wants to provide her patients with a pleasant experience in a spa-like atmosphere. The family owned, father-daughter dentistry practice specializes in porcelain veneers, implants, teeth whitening, and Invisalign. 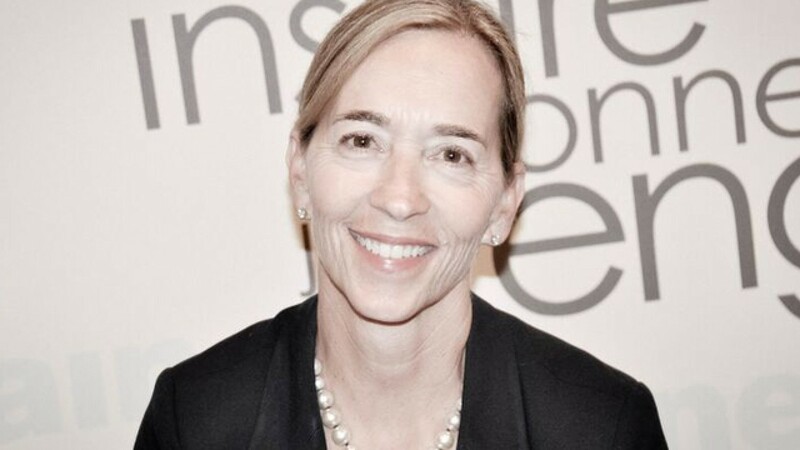 Hardin’s dedication to her patients recently earned the Fellowship Accreditation from the American Academy of Cosmetic Dentistry, becoming only the 82nd global recipient of the classification since 1984. 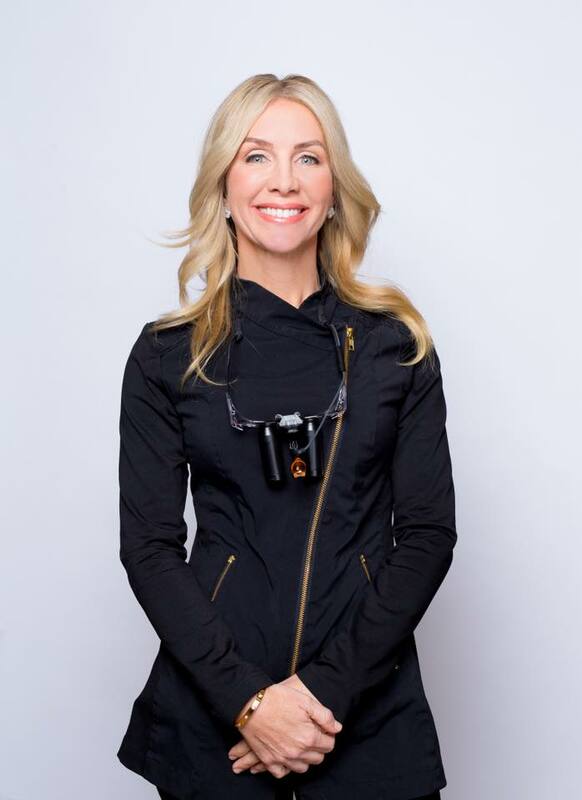 As one of the top dentists not only in Cincinnati but in the United States, this new award means that she is also recognized in the top 10 percent of all cosmetic dental surgeons in the country as well. Hardin is breaking glass ceilings with her recent award, becoming the first female cosmetic dentist in Cincinnati to receive this degree of achievement and only the second cosmetic dentist in the Tri-State to be honored as well. The award for Fellowship Accreditation doesn’t come easy, according to McMasters. He says that Dr. Hardin was required to submit 50 recent cases of life-altering cosmetic dentistry success. “These cases were extensively reviewed and evaluated for detail, design, achievement, aesthetics, health impact, and clinical excellence by a team of previously honored dentists that serve as members of the Cosmetic Dental Academy,” he adds. To learn more about Hardin Advanced Dentistry, visit www.hardindental.com. To schedule a free consultation, visit the website or call 513-398-4448. One local businesswoman is inspiring her sales team with a simple strategy for success. Read on to learn more. Lisa Thal is the founder and owner of Three Word Meetings. To help you get out of the routine of boring meetings, Lisa Thal created a way to make meetings and presentations fun and engaging – Three Word Meetings. Thal says she was inspired to launch Three Word Meetings after her own experiences in sales and management, and how keeping messages simple and engaging can create a bigger impression on those you lead. “We are overwhelmed with too many messages, and people tend to remember three words: Nike’s ‘Just Do It’ and McDonald’s ‘I’m Lovin’ It,’” she says. Currently, Thal is a life coach and leads the sales teams at Q102 and Mix 94.9. There, she implements the Three Word strategy with her team each week, while also using it for presentations to help connect the marketing vision we have when working with local businesses. To help spread the message of her “Three Words,” Thal offers one-on-one coaching and speaking engagements for companies, to help them with the simple strategy of engaging and inspiring the use of Three Words. Thal will be furthering her offers by launching a Three Words podcast in late February. To learn more about Three Word Meetings and the strategy offered by Thal, visit www.threewordmeetings.com. This Cincinnati-based marketing guru focuses on helping entrepreneurs and solopreneurs analyze and execute the most effective strategies for their small business. Keep reading for more. Ashley Anderson offers marketing and strategy solutions for entrepreneurs and small businesses. Ashley Anderson is a marketing professional that wants to make a name for herself – literally. Currently, she is the owner of her own, self-named business that focuses on marketing for entrepreneurs/solopreneurs and small businesses. Anderson’s story of how she got to where she is today is, according to her, rather crazy. To give herself a breath of fresh air, Anderson used up the last of her vacation days and traveled to Europe. It was there that she decided to give herself 6 months to find something different. “I was going against the grain of everything my family wanted me to do, and I knew it would take a giant leap of faith into the unknown, but I couldn’t spend more of my life in a cube feeling restrained and slowly burning out as each day passed,” she says. Eventually, the company she had taken a job with was bought out, which led to changes and layoffs, including Anderson. At that point she knew she didn’t want to go back to working in a cubicle so she took a leap of faith and started freelancing while also building out her own business model that’s seen quick success. “That’s how I’ve launched this business and signed my first clients,” she says. 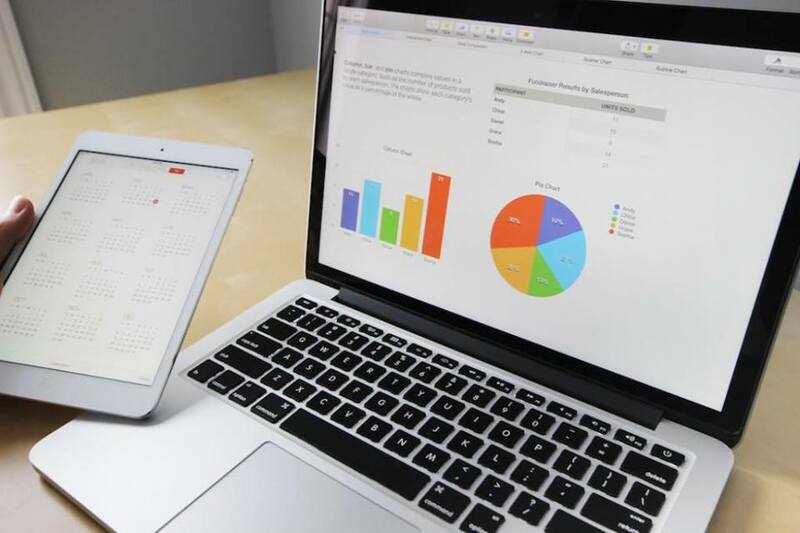 Marketing services offered by Anderson include Marketing Strategy, Content Planning, Content Auditing, Content Research & Creation, Social Media Marketing, Digital Advertising, Email Marketing, Marketing Automation Services, Landing Page building, SEO Services, and Reporting and Analysis. When it comes to offering these services, Anderson says that it’s her ability to be an everything-in-one marketing professional is what helps her business stand out. Anderson says that there will be big updates on her website in the horizon. She’ll also be offering up content and information for businesses and entrepreneurs when it comes to different types of marketing as well as many different free resources. The second half of the year includes lots of secrets that you’ll have to stay tuned for. Anderson says that not everything with her marketing business is up and running, as she’s heavily focused on her client work. However, you can find her website and on social media channels such as Facebook, Twitter, Instagram, and LinkedIn. A new coworking space recently opened in a restored Victorian building in the West Fourth Street Historic District. Read on for a peek inside. Novel Coworking is a new coworking space offering private offices and space. Novel Coworking recently debuted its new private offices, office suits, and coworking space here in Cincinnati. The business, owned by Bill Bennett, has locations throughout the country, with Cincinnati being its first location in Ohio. Novel’s history dates back to 2007, when Bennett was looking for a space to open up his first business in. While searching for office space, he ran into difficulties because he wasn’t able to commit to a 3-5 year lease. “I didn’t know yet whether I was going to have one employee or 100, and I didn’t want to start a construction project or make a long-term commitment,” says Bennett. Ten years later Bennett is the owner of a business that supports companies of all sizes with flexibility and room to scale up and grow on their own terms – Novel Coworking. The company purchases the buildings it operates out of, which allows it to invest in infrastructure improvements as well as custom-built suites for teams of up to 100 people while also keeping rents 30-50% lower than its competitors. Pricing at Novel Coworking starts at $99 a month for coworking memberships and at $475 a month for private offices. “Novel Coworking provides small businesses and entrepreneurs with high-caliber amenities that are typically only available to large companies,” Novel’s website states. Novel Coworking in Cincinnati is located in the Hooper Building, at 151 West 4th Street. To learn more about Novel Coworking, click here. You can also follow along on Facebook, Instagram, Twitter, and LinkedIn. A local expert, who works with some of the area’s biggest brands, is launching a rebrand and new services that help you communicate, collaborate, and be more productive. After years of experience as an entrepreneur working with a wide range of different businesses, Monica Scalf learned what works well. So much so, she rebranded her business as The Work Well Group. Formerly the Playground Group, Scalf’s business offers three subsets of services for clients: customized workshops, live personal branding workshop and personality assessments and goal coaching. 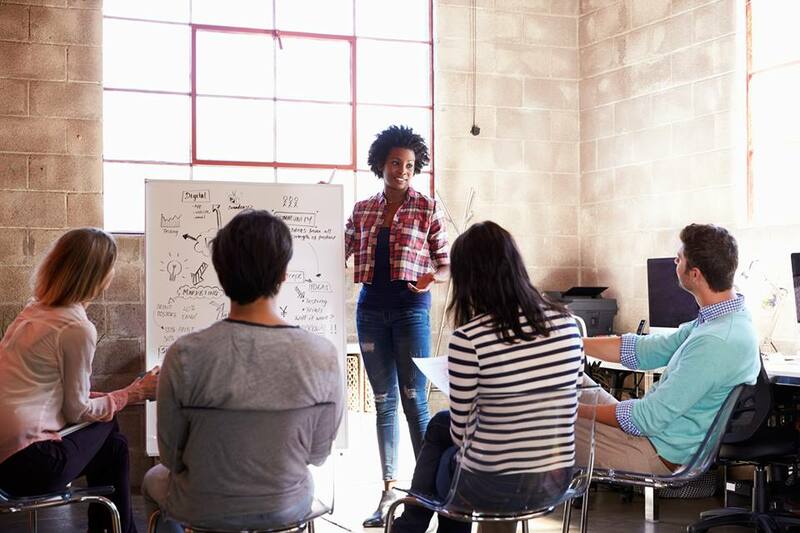 For its customized workshops, the Work Well Group supplies assistance in communication, presentation skills, personal branding, team building, stress management and more. To launch the rebrand and give the business community a glimpse into a Work Well Group Workshop, Scalf is hosting an “Authentic Personal Branding Workshop” on Nov. 16 from 8:30-10:30am. It will take place at the AC Hotel by Marriott Cincinnati at Liberty Center, located at 7505 Gibson Street, Liberty Township, OH 45069. The registration fee is typically $219, but you can use the code CINCYCHIC to save $20 here. When referring to the personality assessment and goal coaching, Scalf says she utilizes the DISC Assessment, centering on four personality traits: dominance, influence, steadiness and conscientiousness. Once these results are rendered, the workshops help participants understand the results and work better with co-workers. To learn more, visit www.theworkwellgroup.com. A local woman recently launched a business called Life Prep, offering just that: a preparatory experience offering lessons in manners, etiquette, and important life skills. Read on for more. As a parent and professional, Shannan Combs saw manners and etiquette becoming more rare, but realized that made having those life skills more of an asset than ever before. Enter, Life Prep, a business featuring Manners and Etiquette Workshops that Combs and husband, Jerry, opened on Sept. 24, 2018, based in Milford. “My background is that I taught for several years at Norcross First Baptist, in Atlanta. and I have raised two children. Cory who is 20, Collette who is 12. I have been a personal trainer, a scheduler at a Pediatric Therapy office, etc. while raising my children.” She knows first-hand the real-life skills needed for these two target demographics, and that’s what the business is based upon. The services offered range from students to adults. More specifically, the student age groups are broken down into three subsets: Nice is Right (ages 5-8), Kool to be Kind (ages 9-12), and Young Sophisticate (ages 13-17). Life Prep wants to make sure that student demographics are not limited to only one category when problems vary from one set age group to the next. When it comes to the life skills represented at Life Prep, there are six different categories to choose from when searching for courses: personal finance, resume design, interview skills, basic vehicle maintenance, basic household maintenance and cooking/meal prepping. Life Prep is located at 1034 Main Street in Milford, Ohio. To learn more, visit www.mylifeprep.com, or call their office at 513-248-1034.